Our business is growing and we believe that it’s important to pay that forward. We’ve supported multiple charities and causes over the years and continue to try to do our bit to make a positive difference. 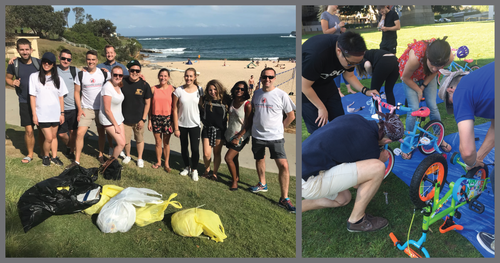 Regular Beach Clean (below left). Volunteering for Daffodil Day in Martin Place (below left). 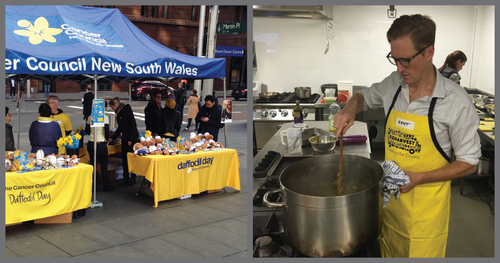 Cooking for OzHarvest, Australia's leading food rescue charity (below right). 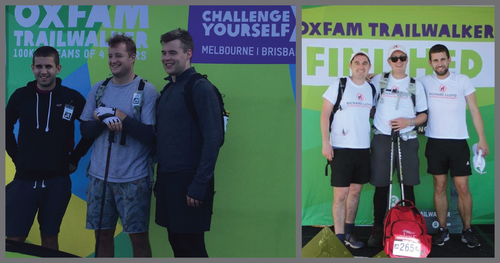 Oxfam Trailwalker - 100km walk raising money for charity. ​The Benevolent Society’s ‘Gifts for Good Campaign’, providing gifts for families who cannot afford them at Christmas time (below left). 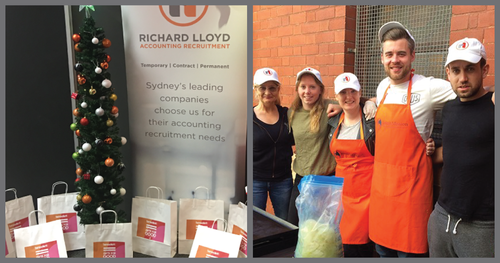 Cooking for the homeless (below right). For further information on our community support or for general enquiries, please contact us on (02) 8324 5640 or complete the form below.